Centralized Controls and Monitors from Graco at MotionSource offer you the ability to manage and examine your systems when lubrication needs are critical. Easy to mount without having to open up the control box, these centralized controls and monitors are an economical choice to complete your system. Centralized controls and monitors are available in a variety of inputs and outputs so there’s no special wiring or electric work needed. These heavy-duty workhorses are typically used in heavy construction, mining, other mobile on-road and off-road equipment. 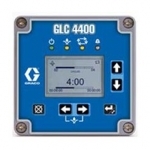 Economically priced and critical to your equipment life, these centralized controls and monitors offer you an advanced method of making sure your equipment keeps running. Call us for a free quote, 888-963-6686 or email Sales@MotionSource1.com or simply complete the Quick Quote form to your right and we’ll give you a call back! With thousands of items in stock and ready to ship, give MotionSource a call today. 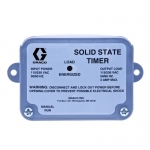 When you need precise control over your pump speed, your pumps run time and the quantity of lubrication delivered. 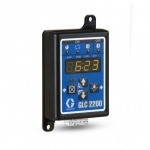 The GLC 2200, GLC 4400, solid state timers and Trabon DC timers easily manage your automatic lubrication system. Centralized controls and monitors are available for installation as well from the MotionSource 24/7 Service Team. 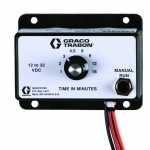 MotionSource is an authorized Graco Warranty Repair Center. If you need help with service or installation of your system, MotionSource has a 24/7 full-service team ready to help with what you need, when you need it. Our service technicians are Graco trained and certified to help with your automatic lubrication needs.